Kasese Woman MP Winnie Kiiza has today handed over office to the newly appointed Leader of the Opposition (LoP) in Parliament and Gulu woman MP Betty Ocan Aol. This follows recent changes that were made by the Forum for Democratic Change (FDC) president Patrick Amuriat. Hesaid the move was based on vast consultations among major political icon in the party and there are more 26 positions that will be filled later since the party is participating in election processes across the county. 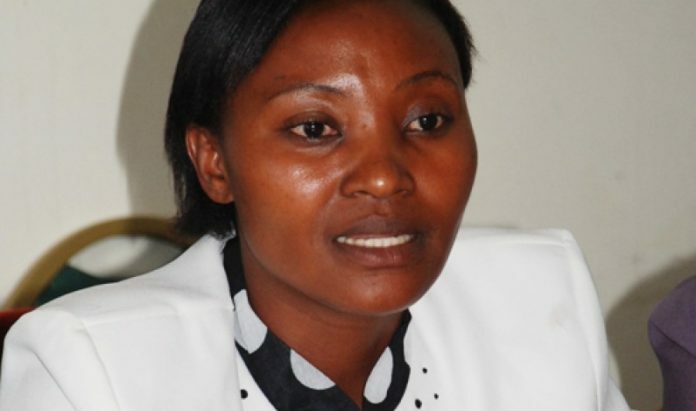 Speaking parliament, Kiiza applauded FDC leadership for opportunity and trusting her to serve as LoP, saying the position offered her exposure and opportunities in various sectors in and outside Uganda. Kizza says believes that new team will play a critical role in terms of her political career. Kiiza handed in a Catalogue of alternative policy statements for financial year 2015/17. In her remarks LoP Betty Ochan AoL commended Kiiza for her contribution towards the thriving of FDC and striving to impact the ideology of changing the current leadership in the country. She announced that she will not make major changes in the current shadow cabinet thought parliamentary rules of procedures entitles her to. She said her office remains open for all. The Speaker of Parliament Rebecca Kadaga however, ruled that FDC members such as Cecilia Ogwal a Parliamentary Commissioner whose term of office has not expired should be allowed to complete their term and Pan African Parliament members whose term expires in 2021. She asked FDC party leadership to let the current leadership complete the tasks at hand saying committees of the parliament are expected to produce reports for discussion between Oct-Dec 2018.